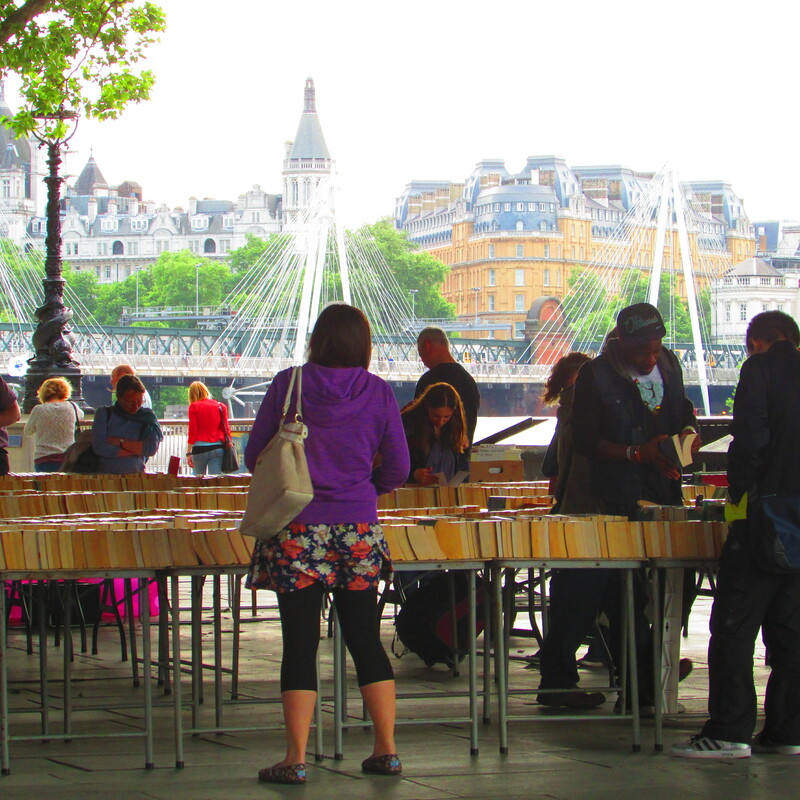 Used booksellers on the Thames, June 2013. Oh they love their books in London. Great used booksellers under the Waterloo Bridge on the southbank of the river Thames. Happy book hunting. It's just too bad I can't buy/bring another suitcase! Crafted at the Port of LA! Memorial Day weekend, May 25th, 26th, & 27th. Red, White and Books! We are mobile and we mean business. Crafted at the Port of LA in full effect! Lots of great vendors, food trucks, memorial weekend fun! CSUSB Bohemian Festival! Yes! 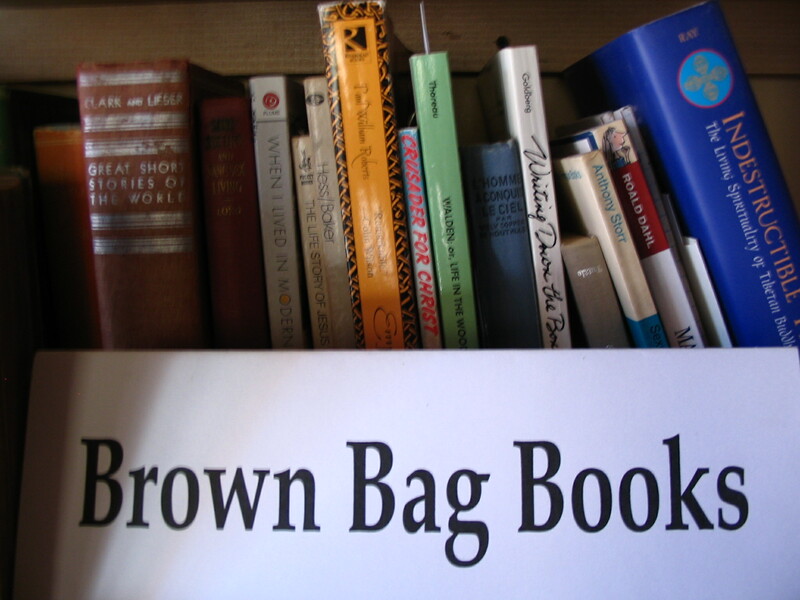 Where it all began for Brown Bag Books, in a way. Oh Mother! 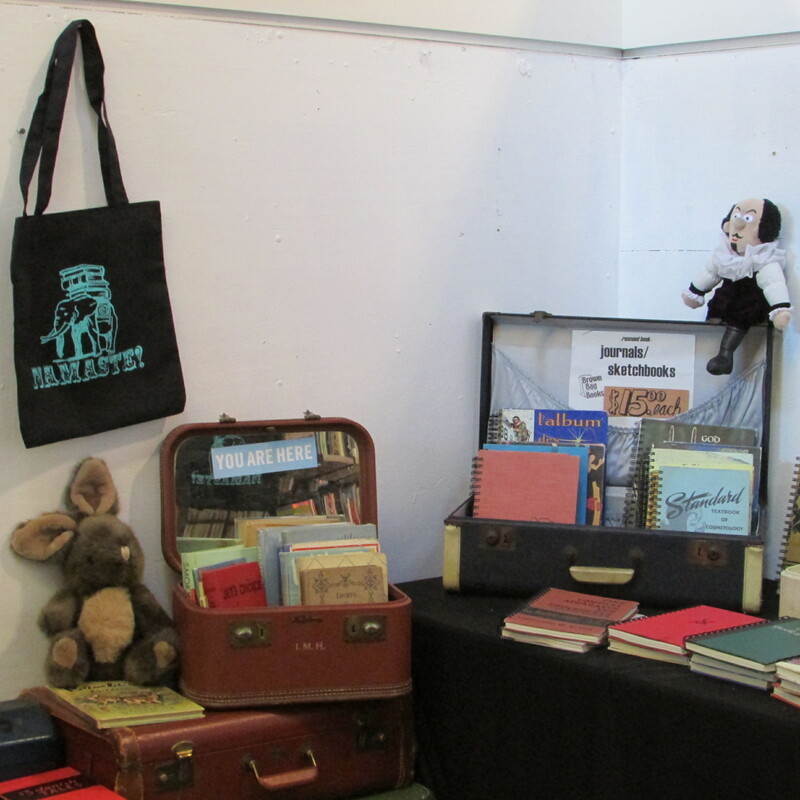 We'll be at Lit Fest Pasadena, AND Silverlake Art, Craft, and Vintage this Saturday, May 11th. Get your read on! Silverlake, Art Craft & Vintage. 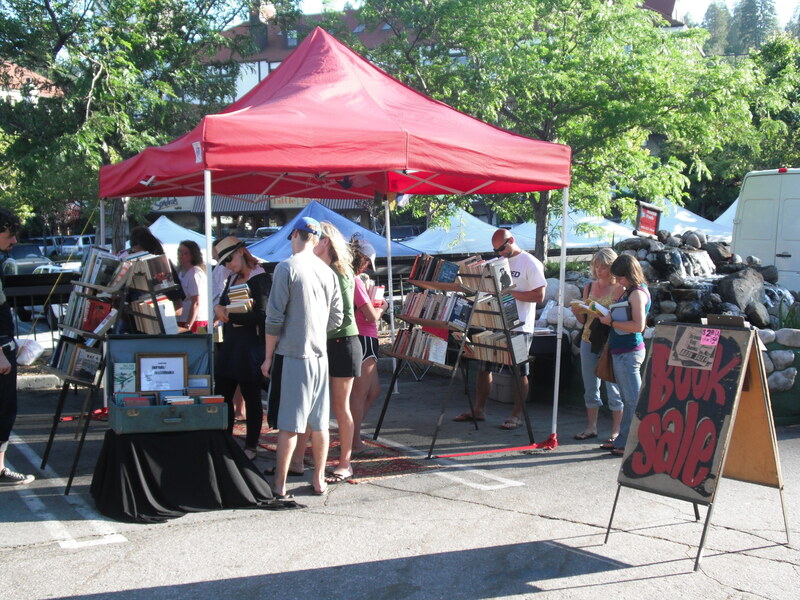 L.A. Second Saturdays, June 8th, July 13th and throughout the year. Join us at a very cool flea market in the heart of Silverlake. 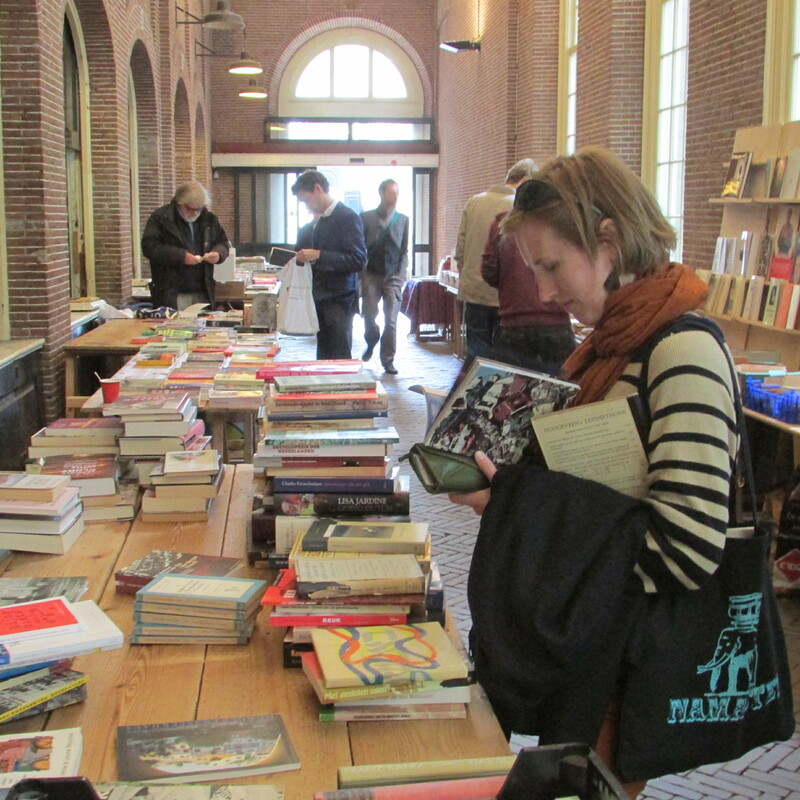 There's always happening events, and of course there's books! www.ghettogloss.com for more info. Lit Fest Pasadena 2.0 - Saturday, May 11th, 10 - 5, Central Park (west). Wow! A lit fest? Come on! We are so there. We've always had a soft spot for the smart set in Pasadena. Come get your read on! Bohemian Fest, Cal State San Bernardino, May 17th. Friday eve. 4 to 9. Gonna be chillin with the bohemians and K Dizzle at this cool event. Facebookum! Patchwork Show! Sunday, June 2nd. Watch out Long Beach, because here we come. She's crafty, and she gets around. Journals, cards, bags, and candy. Crafted At The Port of Los Angeles - Friday, Saturday, Sunday May 24, 25, & 26. Made in the U.S.A. on Memorial Day weekend. Pop Up at the Port! We'll celebrate the stars and stripes with our best reads, journals, cards, bags, maybe even candy! We're very excited to be returning to this amazing craft space - viva la Port! **Looking forward to Running Springs Farmers Market! May 18th, 2013, and sporadically across the summer. Sunday, September 30th, West Hollywood Book Fair. The BIG ONE! 3rd time, the book elves have been busy. 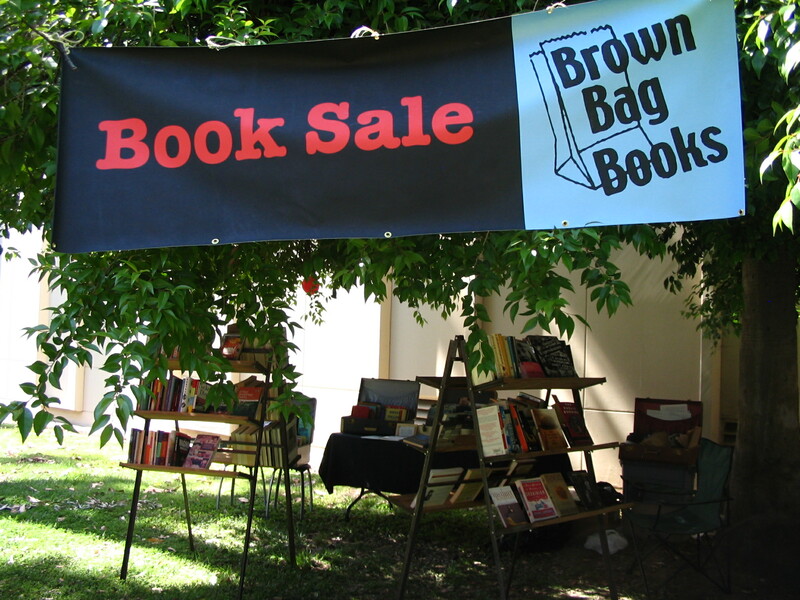 Brown bag books @ the West Hollywood Book Faire. We have new rescued book journals and all the bookmarks you could possibly need. The coolest literary event this side of Conjunction Junction. What's your function? November 17th - Yankiwi crafts, Riverside, California. A backyard production, but Oh! what a production. It'll be our second time around, just in time for the holidays. November 18th, Art on State Street, Redlands, CA. - A great show in downtown Redlands. We will be there with bells on. 10 to 4. November 29th, (Thursday) UCR Bug Fair time! Our longest, most consecutive book fair. The Entomology department puts on one of the nicest craft fairs; local honey, bugs, and they have hot dogs. Entomology building court yard. December 1st & 2nd, It's still fun to shop at the YMCA. It's their annual craft show, 9 - 4, Redlands, holiday festivities, baked goods, journals, and our cool 'dis-cards' made from the innards of the books we make into journals. May 2012, Art in the Park, Redlands, CA. - The Big Mother's Day weekend shindig! Love this show. We've been doing it for, oh I'd say 8 years now? Wow! Lots of art books, journals, book books, dis-cards too. 'Happy Mother's Day' is everyday. 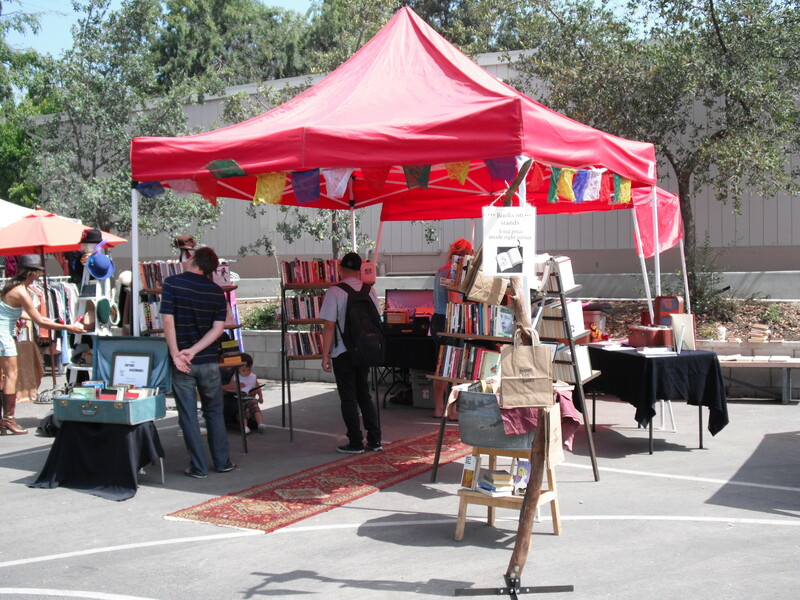 March 2012 @ the OjaiWord Fest . Our first year, looks like we need to pull out all the stops, and books. We're excited to add a new venue. New York, NY - Making a rare appearance at Housing Works to deliver journals. My dream job, my dream bookstore, my dream cause. The Farmers Market at the Grove School, Saturdays from 8 to noon. Meh! We're not able to get down the hill to attend at this time, but my goodness you should go! Possibly the best local farmer's market, EVER! You've got some great produce to pick from. Market Nights at Lake Arrowhead: Friday nights, up in the mountains. Produce + books equals Fun. We'll be there in 2012 too! "Have you not been to the Bus Stop to eat the delicious food and read the wonderful books? Then you need to! Bask under the wonderful 'carnivalesque' tent that Karl built before he takes it down. Sit there, eat, and think." 2010/2011/2012/2013 March - Charlotte S. Huck Children's Literature Festival www.redlands.org The Great Children's Lit. Fest at Redlands University. We were proud to return for our fourth year, why? Because you have a room full of book lovers, authors, and all around cool people who we get to hang out with for two days. Lots of new journals, lots of new (used) books. Viva la Charlotte Huck! 2010/2011 - Orange Muffin Festival! Redlands! Awesome! Winter Break, 2010 - Viva la France! Heading to Paris to do business with our French friends at Shakespeare and Company, the venerable left bank bookstore that carries our rescued book journals. 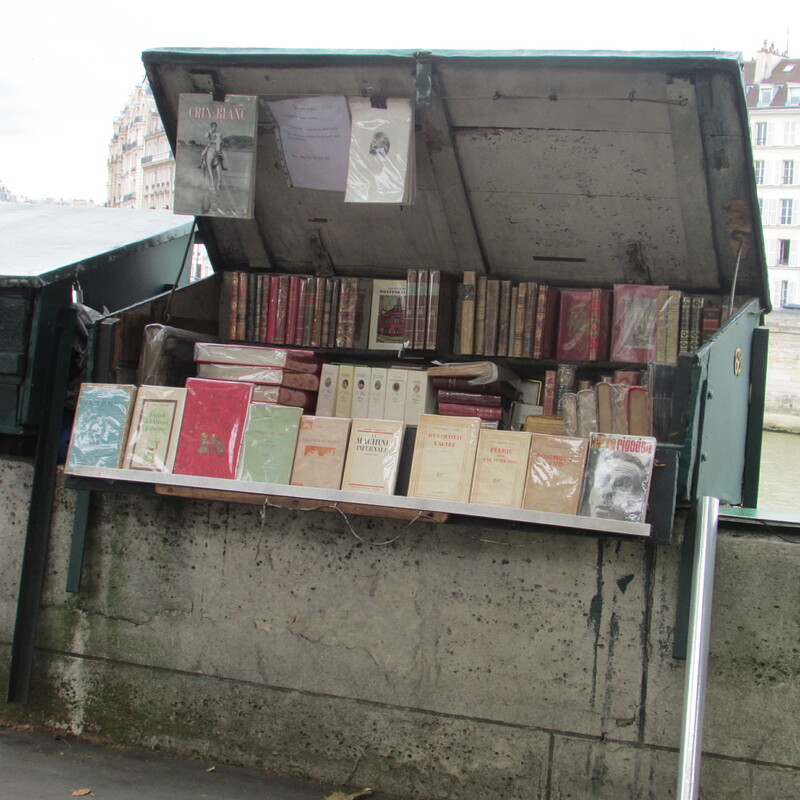 Flea markets for old books, visiting our original inspiration, les bouquinistes along the river's edge, pastry, pastry, pastry! Merci, au revoir! New Orleans Book Hunt - Memorial day weekend, 2010. Check out Plum, cool stuff for stylish living, that now feature our rescued book journals. Uncle Jimmy's Birthday Bash! Searching the great southern city for great books to make into greater journals. We love you Nawlins, we always will. 'Way to go Ohio' tour - June 2010. Visit Wholly Craft! where our rescued book journals are featured. The Book Hunt continues. Gonna be at cousin Matthew's wedding where we'll be bringing the journals to all the folks in the great, untapped Midwest. You know they will have some great books out there yonder, right? New York City, Book Hunt and Housing Works visit, June 2010.We'll dive in dumpsters anywhere in that wonderful grey city to rescue books for journals. Housing Works gets a visit and a Big Fat Donation from us. Check them out at Housing Works. Possibly the coolest bookstore/cafe/think space in the known universe. Saturday, April 24th: EARTH DAY at Rim High School! Highway 18, Lake Arrowhead, in the gym? 10 am to 4 pm.Brown bag books is proud to be a part of Earth day celebrations at Rim High. 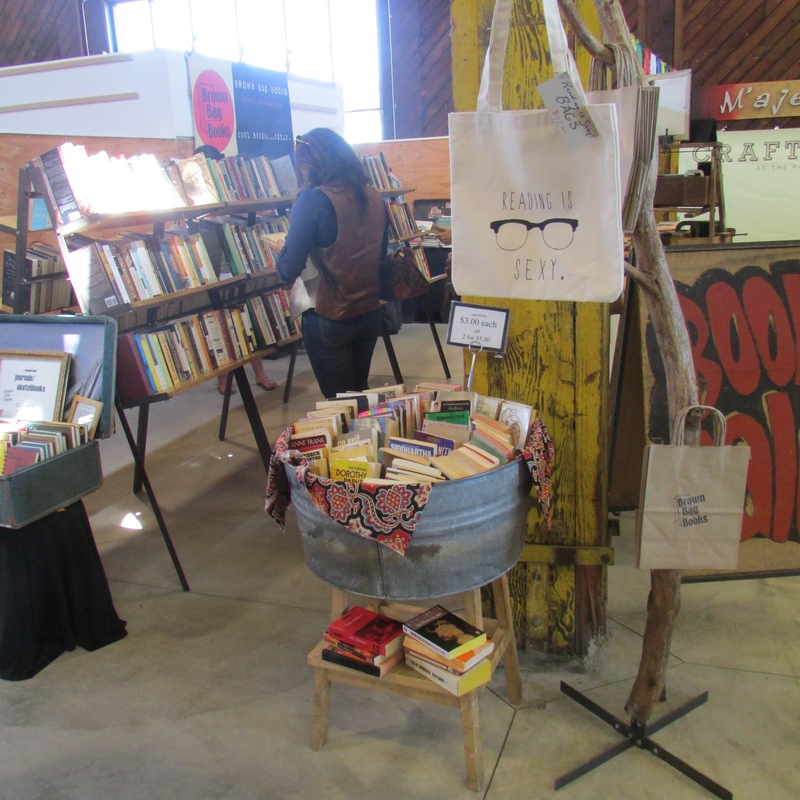 Get yer read on with great books at low prices, as well as our recycled book journals. Happy Earth day, people. Wanna read a really cool write up of our gig by our friend the Communicatrix? Click here.